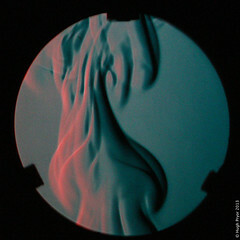 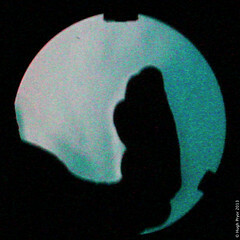 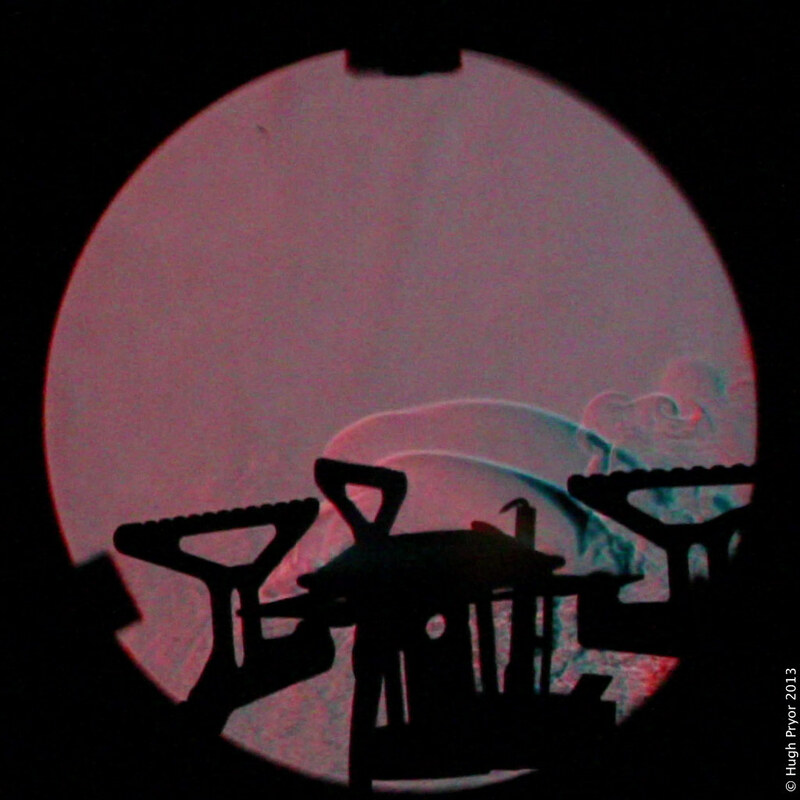 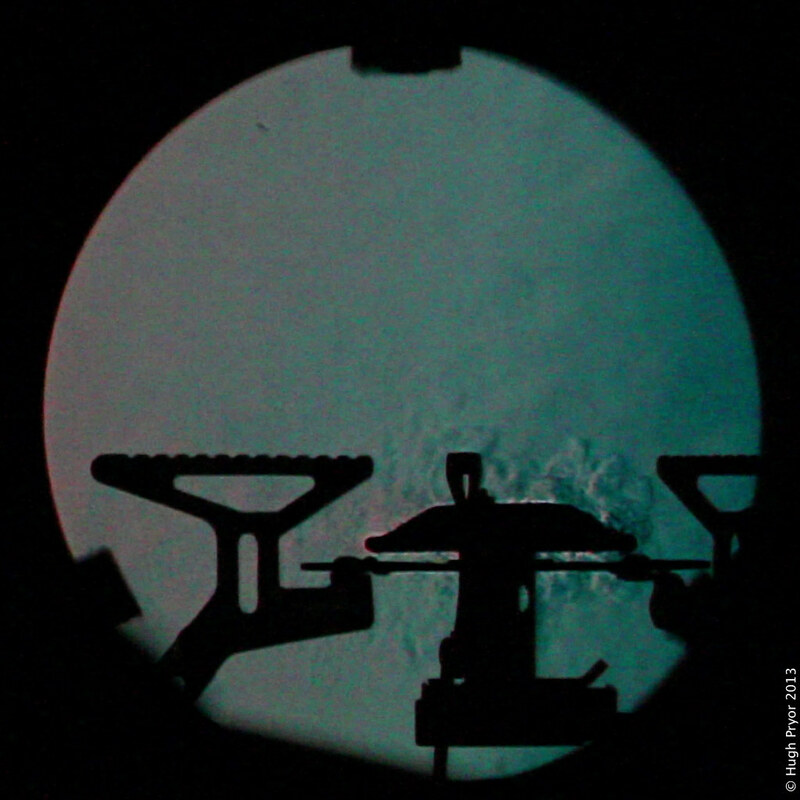 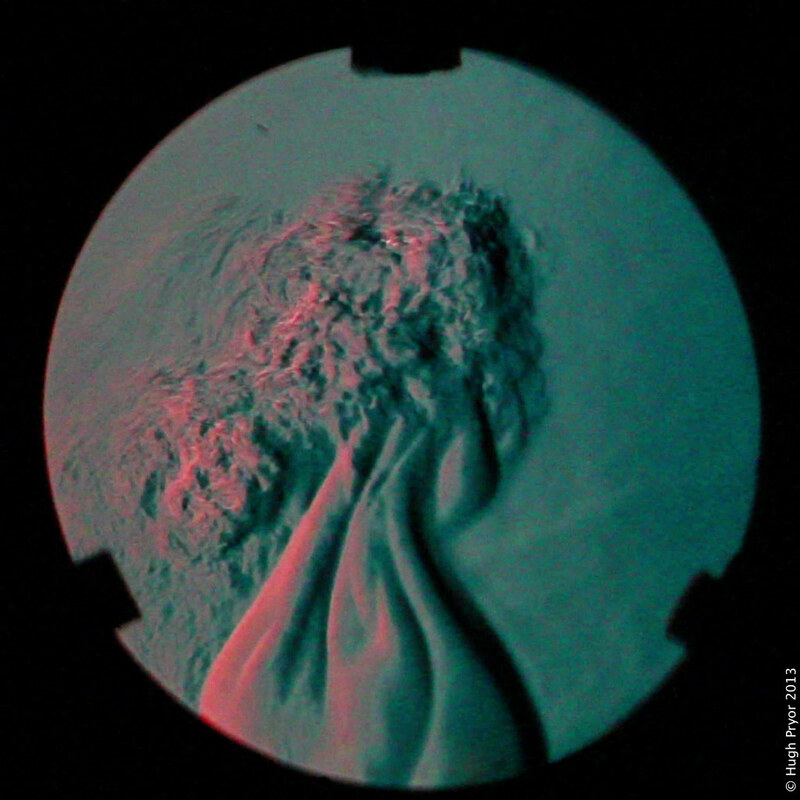 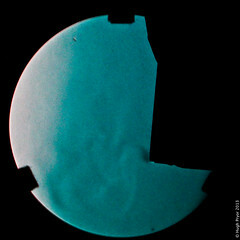 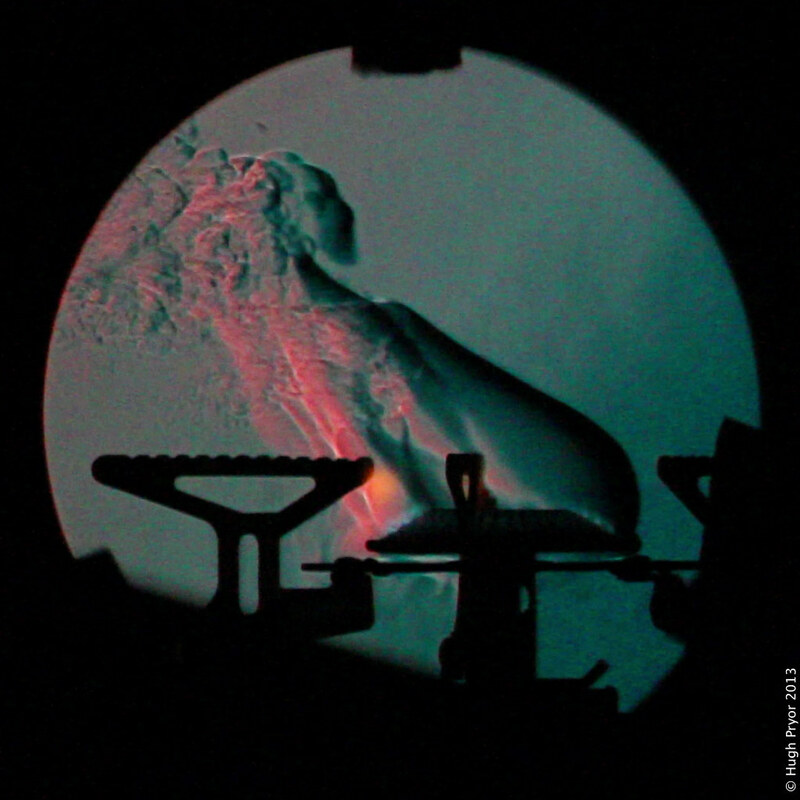 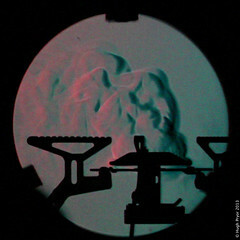 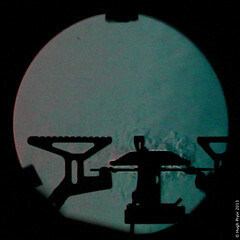 These photographs are made using 2 mirrors with a 60 inch focal length and a point light source with red and blue filters on either side, and a camera with a zoom lens. 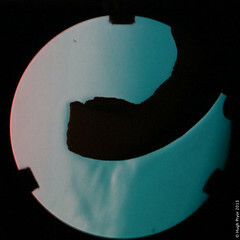 When it was set up – which requires precision and a stable surface, we were ready to go. 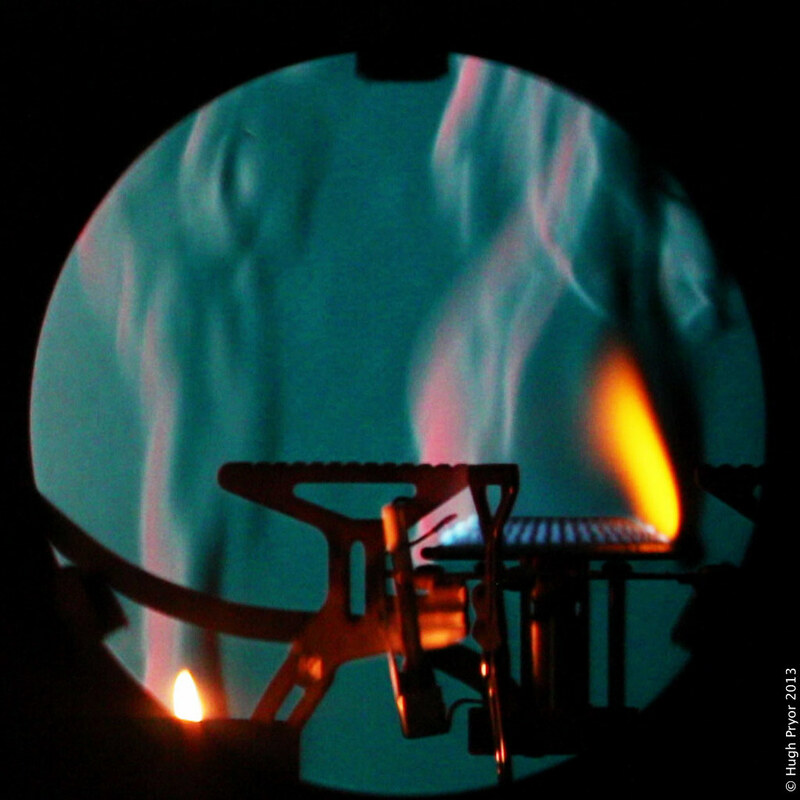 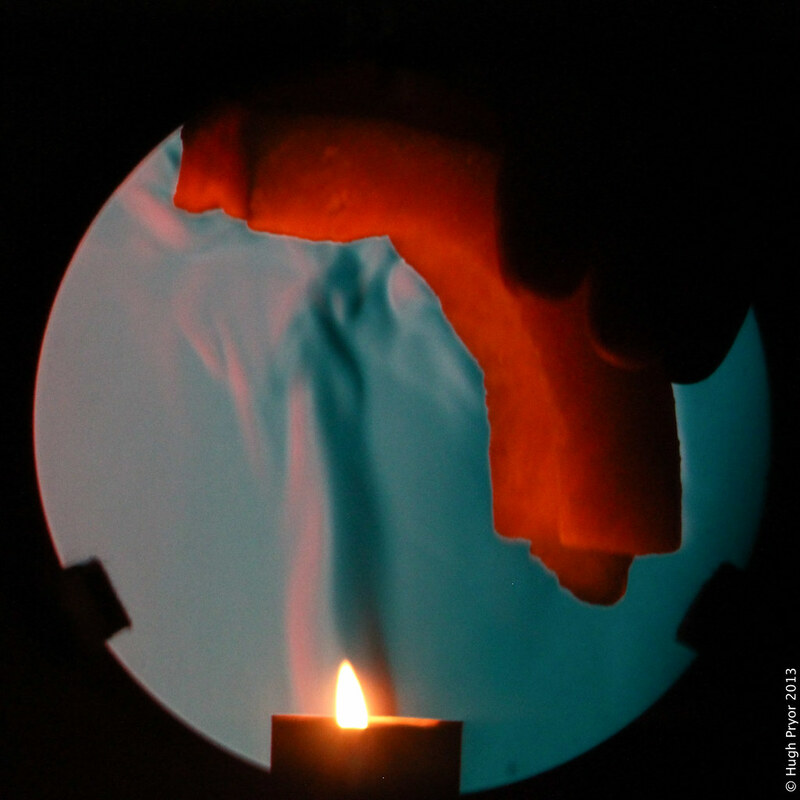 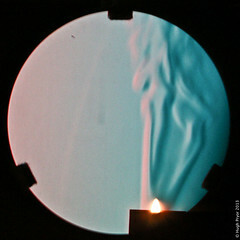 Starting off with a candle – the plume is clearly visible. It’s more subtle with the heat from a hand, and very strong with a camping stove. 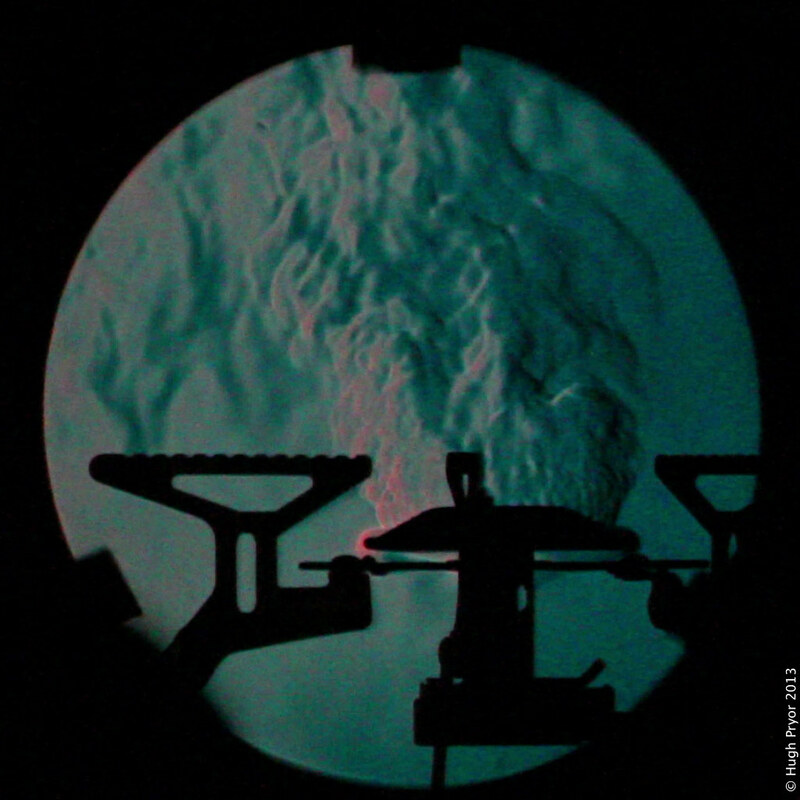 We could see coldness falling off a frozen pumpkin like a waterfall, and butane gas from the camping stove which has a higher refractive index than air. Further experiments were conducted with a reversed vacuum cleaner blowing a jet of cold air at the camping stove flame. 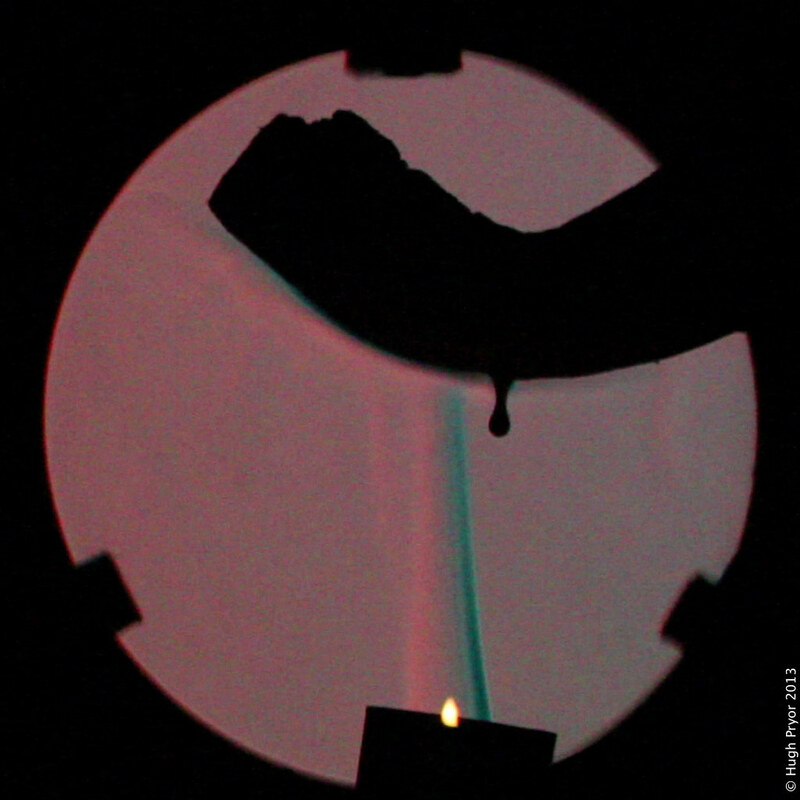 Many thanks to Tim Stephens for providing the Schlieren kit including the mirrors and the light source, and Eileen Prades for the zoom lens, and to everyone who showed up for the demonstration during the Oxford Hack Space social night on 21st November 2013.